HealthRider is one of the renowned fitness equipment providers across the world. It is known to deliver high performance and quality driven fitness equipments. Fitness equipments which it offers include treadmills, riders, ellipticals, and others. The fitness equipments provided by HealthRider is manufactured by ICON.The choice of a treadmill and its features also depends upon the requirement of particular user. 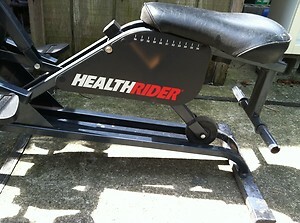 Healthrider is come up with numerous models in market. You must have to be sure before purchasing that what you are gaining by purchasing this treadmill. Belts which are used in health Rider treadmills give you a system in which you would not realize the jerks. It isolates the impact created by body motion on the belt.